ACT invites applications from South African arts and culture organisations, networks, associations, individuals and micro, small and medium-sized enterprises based in the Northern Cape, Limpopo, North West, Free State, Mpumalanga and KwaZulu-Natal. 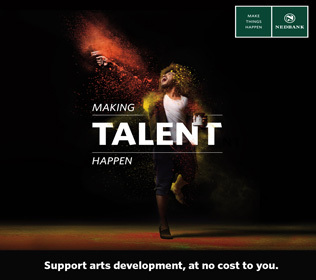 Funded by the Nedbank Arts Affinity Programme, ACT makes once-off grants of R30,000 available for projects that aim to achieve transformation through the arts, enterprise development and/or skills transfer. Projects that do not have arts or culture as a core element. Projects that have social issues as a core element. Organisations/projects/individuals not based in or operating in the targeted areas in South Africa. Activities that have already taken place or that commence before the outcome of the application is available. Projects taking place between October 2017 and October 2018 are eligible for application in the funding cycle below. 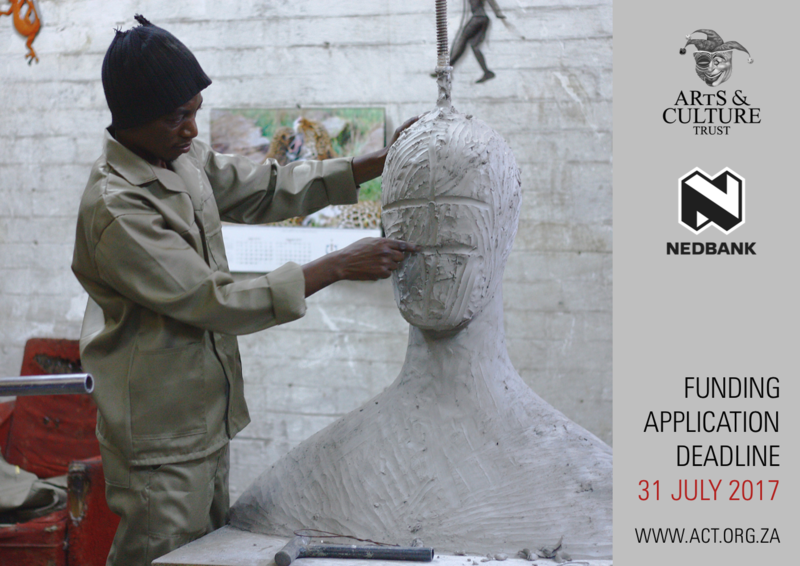 Artists, practitioners, organisations and creative businesses that are not based in any of the targeted regions would be eligible to participate in the Nedbank ACTivator underwriting programme, which will be launched in August 2017. Allocation of grants is at the discretion of the Board of Trustees of ACT. The decision with regard to all applications for funding is final and no further correspondence will be entered into. The Arts & Culture Trust (ACT) is South Africa’s premier independent arts and culture funding and development agency. Since the Trust’s inception in 1994, it has disbursed more than R23 million to more than 800 projects across South Africa. For more information, please visit www.act.org.za. Hi Thembeka, we’ve updated the website and application form, yes you are eligible to apply. Can we apply from Gauteng? Hi David, the Trustees have taken the decision to temporarily focus only on the regions listed as those have received substantially less funding than some other regions over the past 23 years. However, artists and projects from Gauteng, the Western Cape and the Eastern Cape would be eligible for the Nedbank ACTivator programme, which will be launched later this year. Hi can we also apply from the Eastern Cape? Hi Mxolisi, the Trustees have taken the decision to temporarily focus only on the regions listed as those have received substantially less funding than some other regions over the past 23 years. However, artists and projects from Gauteng, the Western Cape and the Eastern Cape would be eligible for the Nedbank ACTivator programme, which will be launched later this year. Hi I just love acting but i don’t have qualifications for it,I only have matric certificate and I’m from Rustenburg in North West, am I qualified to apply? Hi Pertunia, yes you are eligible to apply. If you are under 30 you might be interested in the Trust’s Scholarships Programme. For more information please follow this link – http://www.act.org.za/programmes/scholarships.html. i am working on a documentary but will feature a segment that needs a theatre piece designed for the doccie, can this section be funded? i am told you do not fund documentaries exclusively? Hi Michael, if you are based in any of the targeted area it is something you would be able to apply for. If you have any questions, please call 011 712 8403 or send an email to info@act.org.za. We are as UBUNTU BETHU CASTING AGENCY(UBCA) can we apply on behalf of our artists? Hi there, yes you may. Hi My name is Nkupane. i will love to know if you only take youth with Grade 12 only?. i’m a community worked. i worke with a lot of young people singing and dancing talents but i got the from the street the high grade is grade 9. you have any suggesting on that? Hi Nkupane, follow this link for more information about the programme and to download the guidelines – http://www.act.org.za/programmes/scholarships.html. At the end of the guidelines document you will find a list of institutions where successful candidates may study. If you are eligible to study at any of these, then you should register for an audition. If you have any questions, please call 011 712 8404 or send an email to scholarships@act.org.za. I’m a shooting a short film and I would like to apply I’m in Durban I’ve worked production companies previously and its been for learning and I think I’m ready now to work on my project. Hi Phumzile, yes you can apply. A short film will fall under new media, which is eligible for support. hi i am Luvuyo i live in Worcester i make crafts, can i apply on line? Hi Luvuyo, applicants from the Western Cape, Gauteng and Eastern Cape aren’t currently eligible for support through this programme. ACT will launch the Nedbank ACTivator later this year, which will be open to all applicants across the country. Hi. We are a traditional dance group operating in Limpopo. We hv been performing for a while now in government and community events. We hv old attire and drums. Are we eligible? We are 5 and 3 of us are under 35. Hi Magedi, yes you are eligible.